Zapdos is one of the three Legendary Bird pokemon from the Kanto region and is extremely rare. Coming from the Kanto region the birds made their first appearance in Pokemon Red and Blue which was the first Pokemon Game. Each of the Legendary Birds represent one of the elements of Electric, Fire and Water. Zapdos is the Electric Legendary Bird and is also the mascot of Team Instinct in Pokemon Go. Zapdos had a major role in the Pokemon Adventures Manga where it was used by Lt Surge to power up his electric Pokemon like a never ending battery. Red eventually cut the ties between the Zapdos and the other Pokemon to defeat Surge. 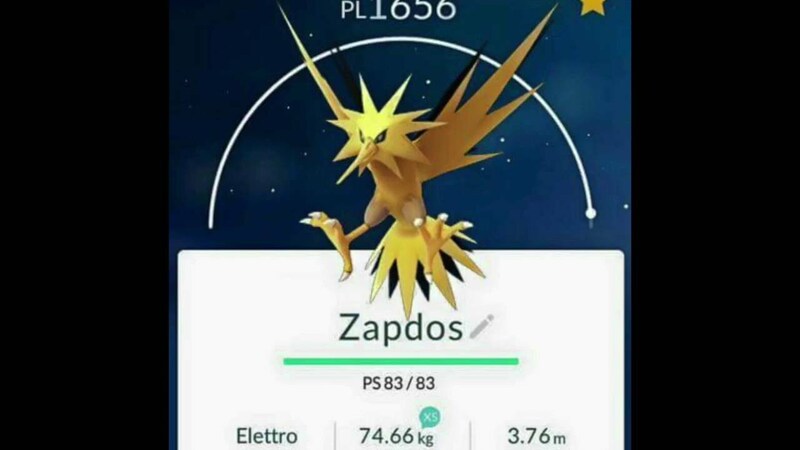 As a Legendary Pokemon Go Zapdos is battled in Raids and has extremely high CP. Zapdos is to make its first appearance in Pokemon Go in the end of July 2017. It will be released as a Legendary Raid. Zapdos has been a fan favorite pokemon since its initial art was shown so its release in the game will be met with great fan fare. Toylab is a member of the Amazon Affiliate Program and can bring fun products and a great price directly from Amazon. There were many rumors early on in Pokemon Go on ways to catch Legendary Pokemon. One rumor was that they were on top of Mount Everest or in Area 51. These rumors are NOT true. Legendary Pokemon like Zapdos can be caught when you battle in a Legendary Raid. A raid will appear with a 5 Rydon symbol that denotes a Legendary Raid. Once the Raid pokemon appears it will be one of the Legendary Pokemon, if it is Zapdos you can then battle it. If you successfully beat Zapdos you will then get an opportunity to catch it. To beat Zapdos you will to make a team of multiple people to help. No matter how powerful you are the Legendary Pokemon in Raids are very powerful (Very high CP) and require a large group of people with high level Pokemon. Time to answer and the important questions! You have entered battle with the glorious legendary pokemon Zapdos and as you gawk at sparks fly off its wings, and electric currents light up with each beat of its wings. You quickly realize its streaking toward you like a lightning bolt. Its time to ground this electric Legend. Alright strategy time well lets start with this Zapdos is an Flying / Electric type hybrid pokemon. Rock and Electric Pokemon work well against Flying Pokemon. For all Legendary Bird Pokemon a Golem with Rock Throw, works well. Golem is a must have for Legendary Raids. Of all the Legendary Birds Zapdos has the shortest list of solid counters. Outside of these counters I would consider adding in high DPS pokemon like Flareon, and Dragonite. While not perfect they can still inflict a lot of damage to help your team and remove alot of health of Zapdos before the timer is up. The importance of Golem in all Legendary bird raids can not be understated as you can see we have him listed as our favorite counter vs Zapdos. Get multiple Golem's and build them up (Particulary if they have Rock Throw).